Toss the beets in the olive oil, sprinkle with salt and pepper and roast for 35 minutes, flipping halfway through cooking time. Remove beets from oven and set aside to cool. In a medium sized bowl, whisk together all ingredients “for the vinaigrette”. 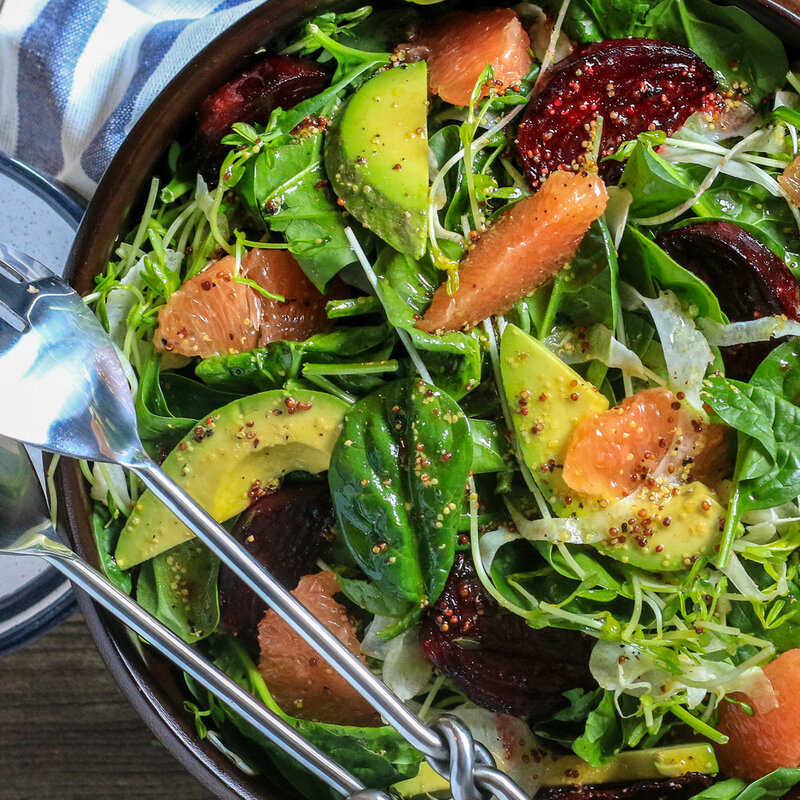 To serve, toss together the spinach, fennel and pea shoots in a large salad bowl. 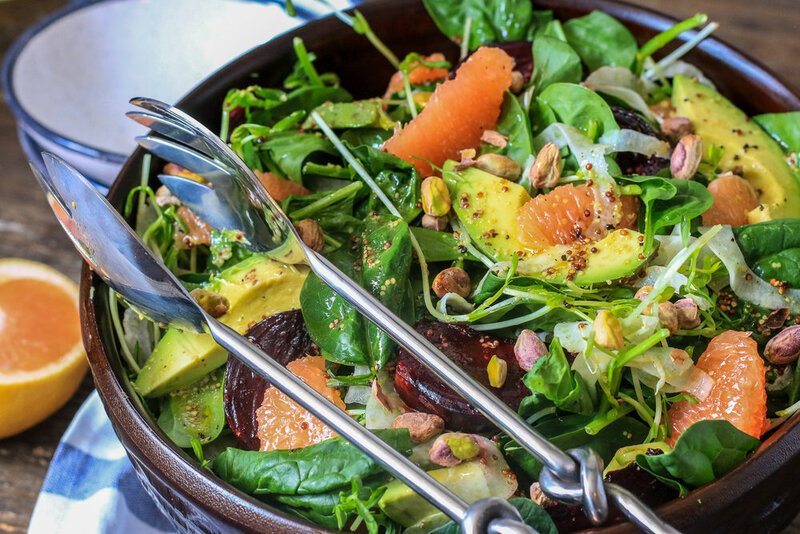 Top with beets, grapefruit, avocado and shelled pistachios. Dress the salad with the vinaigrette and serve.